As each person “liked” our pages, our posts went into their feed. They could also share our posts on their Facebook profile walls, and their friends could see them and share them as well. But Facebook’s News Feed algorithm is in a constant state of flux, and so does its appearance. Now, it does not matter what language you speak, you can enter Facebook, click on the translator, and understand the text regardless of the language in which it is written. 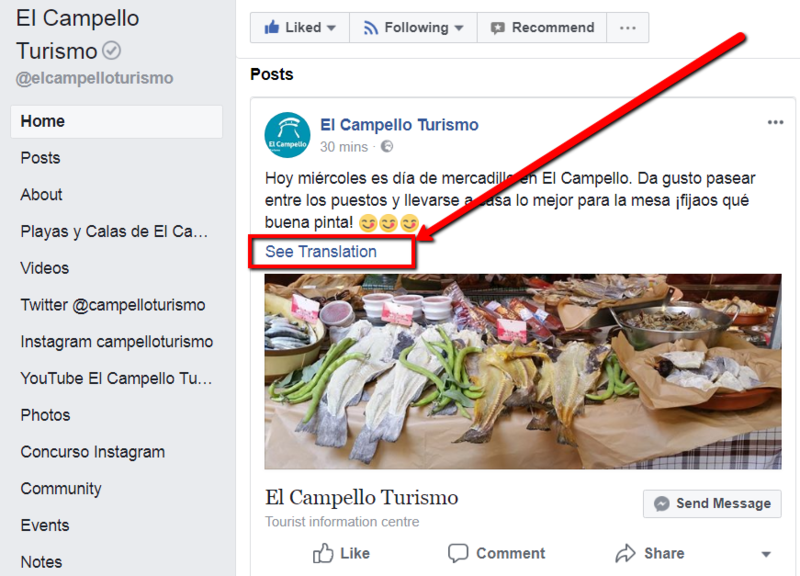 For this reason we have decided to focus all our efforts on our fan page El Campello Turismo, so that it will be easier for you to keep up to date with everything that happens in El Campello. From today, you will find us on El Campello Turismo Facebook page, and in some days we will merge El Campello Tourism page with it. Entrada anteriorFestividad de San Antoni del porquet en El Campello.